Heather Paat is the certified optometric assistant/receptionist/eyewear consultant/insurance specialist and office manager. She has been with the practice since its inception in 1990 and has been a very big part in our ongoing success. She is a graduate of the medical office assistant programme and was certified in the first Optometric Assistant programme offered by the Canadian Association of Optometrists. 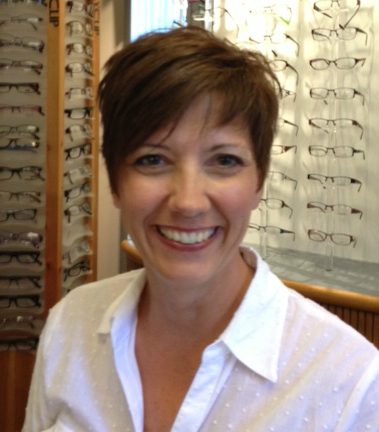 Heather is the frame buyer and knows her lines and frame availability well. If we don’t have it she will find it based on what you think you would like style-wise or colour wise. She also teaches contact lens insertion and removal. Over the years our patients have seen her become a mom and recently a grandmother. We often have a session of trading grandkid pictures with our patients.